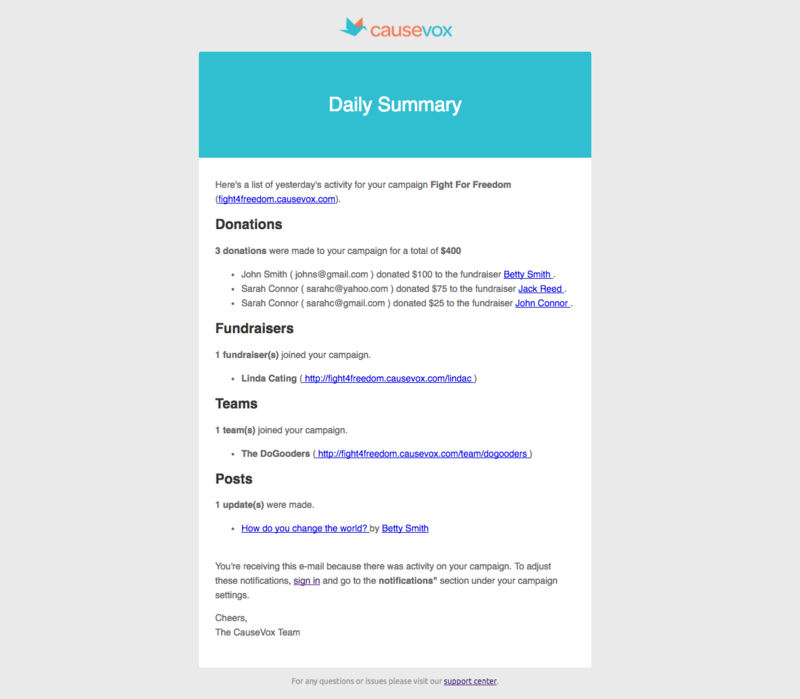 When a donor donates to your fundraising site, you receive an email from CauseVox that a donation has been made. Here is an example. If you're the nonprofit admin, you also receive a daily summary of the activity within your fundraising site. Here is an example. 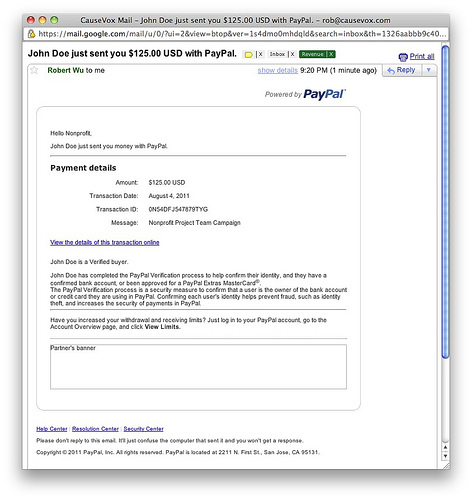 If you're using PayPal to process donations, you also receive two automated receipts from PayPal. The first one is for your donor's donation. The second one is for our portion of the transaction fees. Your donor is not sent this last email. 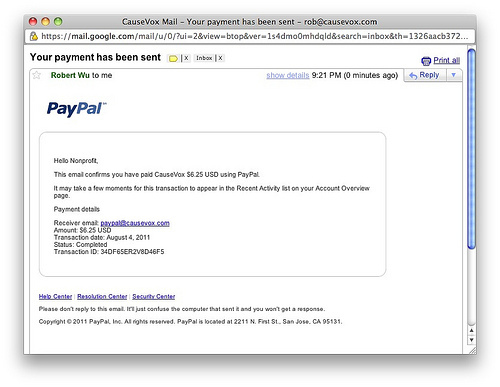 See this link for more info about the donor's email receipt.